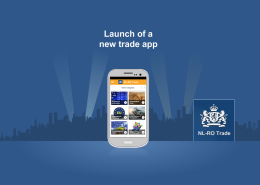 This app offers economic news, insightful tweets, events worth visiting and opportunity outreach. It also provides more insight in the business community in the host country of the embassy and gives hands-on tips for doing business with local people. Quick scan demonstrating the current status of micro-algae applications to the aquafeed industry; It touches upon potentials, needs but also hurdles for (Dutch) micro algae producers and solution providers to collaborate with the (Norwegian) aquafeed industry. 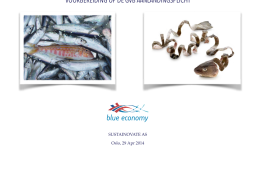 Inventory of Norwegian strategies, instruments and key players actively developing an integrated ‘BLUE ECONOMY’ . 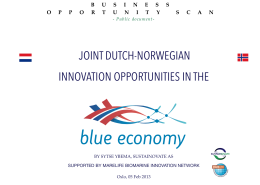 Public report identifies areas of cooperation, potential partners and strategies that The Netherlands could follow to connect. 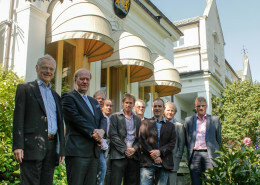 Deelname van de Nederlandse delegatie aan het North Atlantic Seafood Forum (Oslo 6-8 maart) was zeer de moeite waard! Interessante voordrachten, maar het bleek zeker ook een goede internationale ontmoetingsplaats van de gehele bio-mariene sector. (Available in Dutch only). Voor u ligt een onderzoek naar de nevenactiviteiten die vissers in de landen om ons heen beoefenen om de economische basis van hun onderneming te versterken. 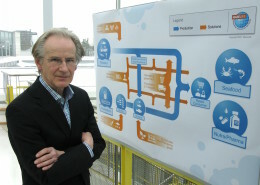 Dit onderzoek is uitgevoerd door Sustainovate Inc., in opdracht van InnovatieNetwerk. (Available in Dutch only). Jelle Landstra: "From July 4-5 I visited Norway with 4 trendsetting Dutch fishing companies and the Dutch Fisheries attaché for Scandinavia, Reinder Schaap. 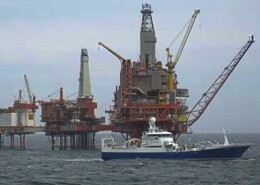 Purpose of this visit was to take notice of another view on fisheries business. This trip was facilitated by Sustainovate. 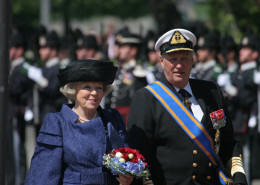 The 2010 Royal State visit of the Dutch Queen Beatrix to Norway, had a focus on collaboration between two of world most advanced marine and maritime countries, The Netherlands and Norway. 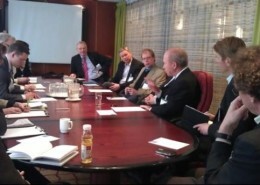 Sustainovate gathered feedback from key players on the Norwegian side.